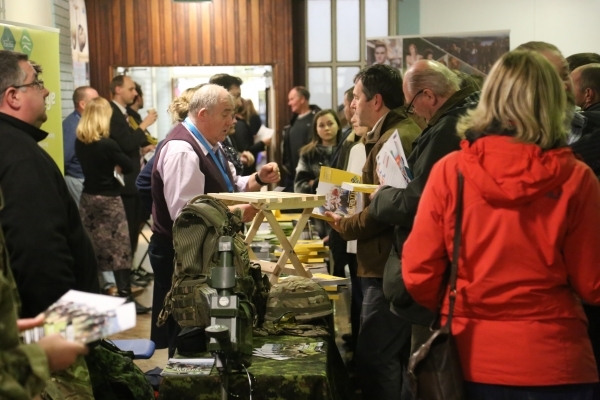 Saltash.net was pleased to welcome a number of local employers to the school to take part in our annual post-16 careers evening on Thursday 26 January . Major employers, including the Royal Navy, Army, Plymouth University and Babcock were present to help students make up their minds about what career they would like to pursue after finishing their GCSE’s at saltash.net. Organised by Head of Personal Development, Mrs Gue, and Work Related Learning Administrator, Mrs Boulton, the event was very well attended. The businesses in attendance offered guidance on the opportunities for students post-16. “The event was a total success, with many of our students attending from across our year groups, to find out about a range of different career options and pathways that they can take. We were thrilled that so many organisations attended, a number of them bringing previous students from saltash.net who are now doing a variety of different apprenticeships and courses, and have clearly done very well for themselves. Further careers advice can be given by the school’s careers advisor, Mr Moody, who is available for in-school sessions every Tuesday and will be available on Review Day.